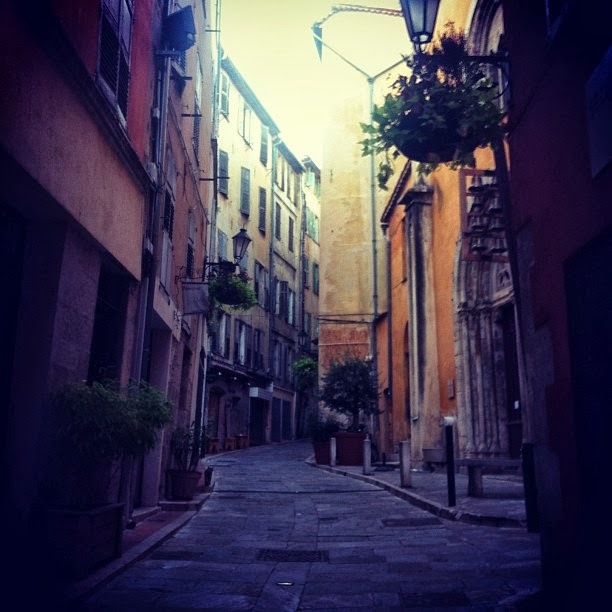 There is a narrow winding long cobbled street in Grasse, Rue de L’Oratoire. Somehow wherever I would go I would find myself in Rue de L’Oratoire. In this labyrinth of Grassesque marvels there is a place I knew I would visit sooner or later. 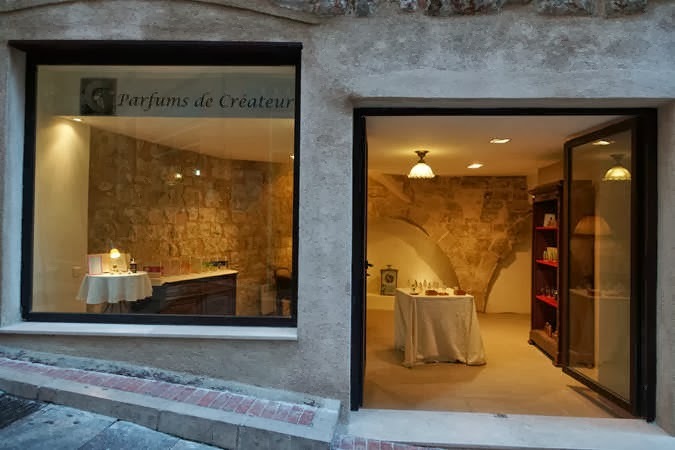 Before going to Grasse Institute of Perfumery I had read about Clayton’s adventures there and about his visit to perfumer Didier Gaglewski (in Rue de L’Oratoire 12). It seems many visitors to Grasse feel the need to buy perfume as a souvenir and the local shops cater to that idea in different ways. For me the real treat of being in Grasse was the access to the backstage area of the perfume industry. The fields, the insider information, the lab, the raw materials – but above all – the conversations with people who work with perfume in various ways. If I had an experience like that – and could buy something that would preserve the moment for me – then great, but perfume per se was not the main thing. But then of course a place like Grasse provides gems like Beauty Success where you can find Coriandre and Caron’s Pour un Homme! But back to Gaglewski. This encounter was really a quintessential part of this adventure. First time I met Didier Gaglewski was when going to dinner with my Spanish friend (and I am sure future perfumer) Inma, Daniela from Fragonard and the lady that they were staying with in Grasse. The lady knew Didier so we introduced ourselves briefly when passing by his shop and said we would come back. After a few days, you see, Inma and I had embarked on an inspiring inner journey analyzing various ways to pursue olfactory paths in our future careers. And monsieur Gaglewski seemed like a very good person to turn to for some advise since he himself started to work with perfumes after pursuing a different career for some time. So a few days later we returned. Didier generously shared his story with us and we spent a long time discovering his creations, from the ultra-masculine conceptual Cambouis, a humoristic flirt with the idea of a man working on his car and the smells of this, to the soft romantic Aria, a seductive classic über-feminine dream of tuberose and vanilla. 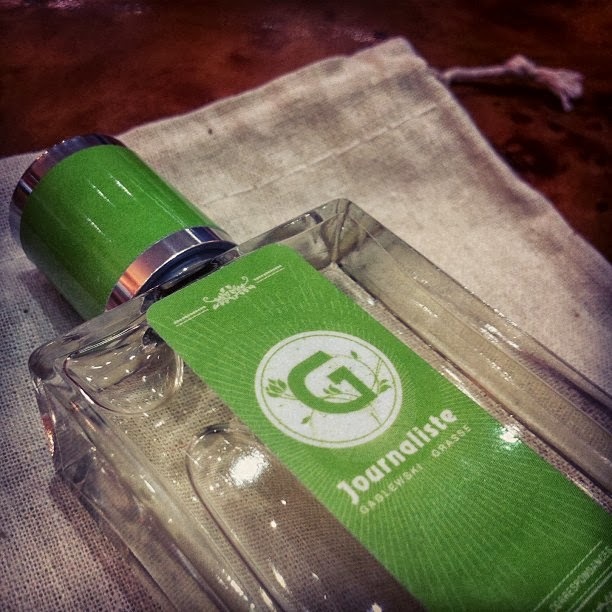 I had a different instant crush though… first for the name and then for the smell, the woody Journaliste. No surprise that it includes some of my favorite notes – petit grain, mandarin, ginger, cardamom and tonka bean. The Journaliste is now here in Stockholm with me. It reminds me of the alliance between brain and heart, plans and dreams and of this very special place in Grasse. So, on my last day I went back to Rue de L’Oratoire, 12 to say goodbye to Didier and to show him my three own creations from school for some professional feedback. A very rewarding visit since I also had the luck to talk to the customers that came to the shop. I was struck by the great conversations that happened. So far from some of the empty quick exchanges of clichés in department stores. People ask Didier a lot about his background and profession and creations and he answers every person’s questions very genuinely and generously. A young man entered out of curiosity, not really ready for a purchase, but full of questions. It was such a nice conversation to listen to and a moment that captured some of that special thing about Grasse so well – it is a place that loves perfumes and that loves to take the time to talk about perfume with anyone who has a desire to know more. There is so much knowledge in those hills… and so little of the excluding elitism that you find between perfume shelves around the world. 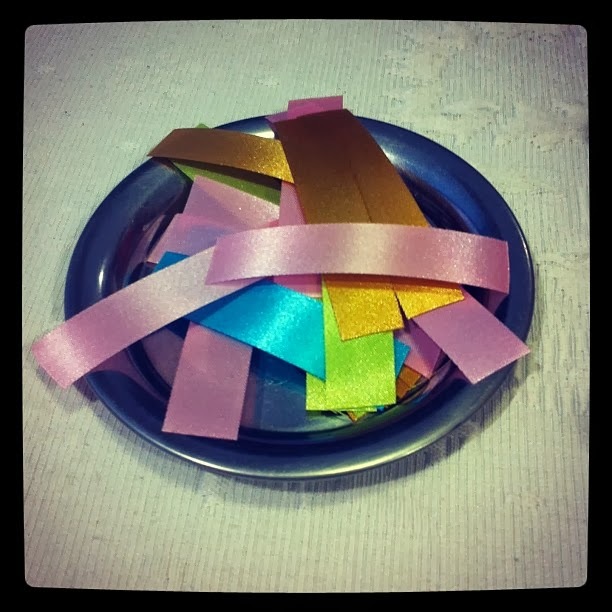 Scent strips made of ribbons at Gaglewski. Thank you Didier for sharing your story, time and thoughts. Dziękuję. “Vous êtes brune, de peau mate.Vous êtes gaie et un peu capricieuse. Votre rire cristallin ne connaît pas de frontière.